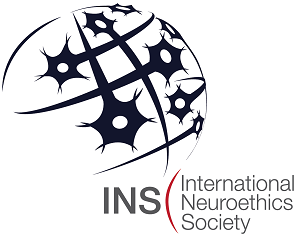 The BNA is proud to announce its new partnership with the International Neuroethics Society (INS), giving individuals the opportunity to receive a 10% discount on membership fees when signing up for both societies. The BNA Trustees recognise how important it is for neuroscientists to consider the ethical implications of their work and for members of the public to have the chance for informed debate. By partnering with the INS in this way, BNA members will have greater opportunities to interact with neuroethicists and vice versa, to the benefit of all. Support for Your Meeting – The INS supports members organizing local and regional meetings, talks or seminars on neuroethics. Apply to receive up to $500 in support of your neuroethics event. Please send an email to the BNA office (office@bna.org.uk) stating that you would like to join INS. The BNA will send you instructions and a 10% discount code for INS (to be entered on the INS membership application form). Once you are confirmed as an INS member, the BNA office will refund you 10% when you next renew your membership with the BNA. Please sign up for BNA membership through the usual procedure, and send an email to the BNA office (office@bna.org.uk) stating that you are a member of INS and would like to join the BNA. The BNA will send you instructions and a 10% discount code for your next INS subscription. Once you are confirmed as an INS member, the BNA office will refund you 10% on your membership with the BNA. Please sign up for BNA membership through the usual procedure, and send an email to the BNA office (office@bna.org.uk) stating that you would like to join both the BNA and INS. The BNA will send you instructions and a 10% discount code for INS (to be entered on the INS membership application form). Once you are confirmed as an INS member, the BNA office will refund you 10% on your membership with the BNA.